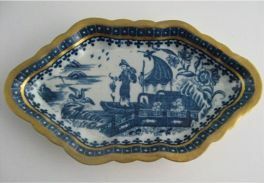 This is a Caughley spoon tray decorated in blue and white with the 'fisherman and cormorant' pattern (originally known as the 'Pleasure Boat' pattern). 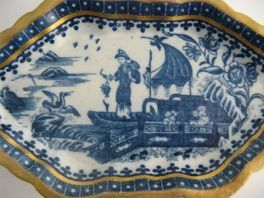 Usually, I do not sell restored items but thought that this may be of interest to collectors of Caughley who may just want a reference or example piece as it still displays well. 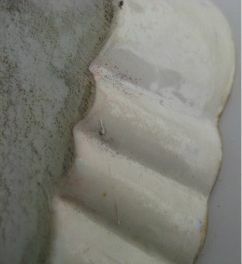 For the full condition report see 'condition' section below. 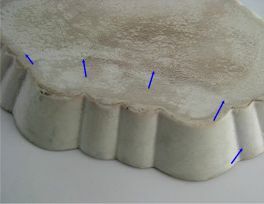 The spoon try is of an elongated hexagonal shape. 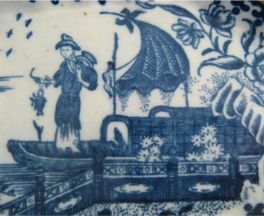 The blue and white transfer print decoration is of the 'fisherman and cormorant'. 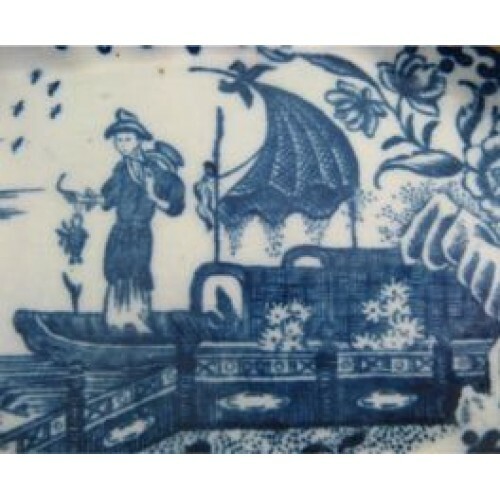 This oriental scene shows a fisherman in his boat having caught a fish, whilst on a rock sits the hungry cormorant. 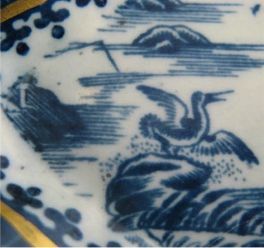 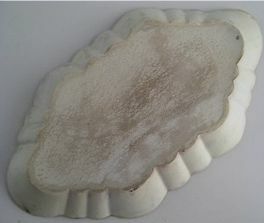 There is a blue and white square shaped 'birds eye' pattern border. 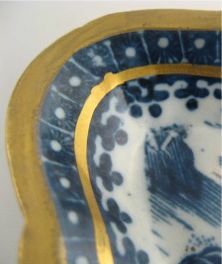 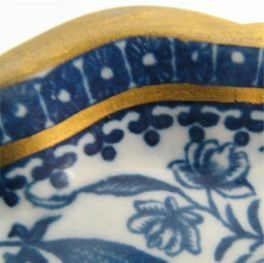 There is also a gilt rim (this is later gilding as part of its restoration) and gilt line part way down the inner rim of the spoon tray. 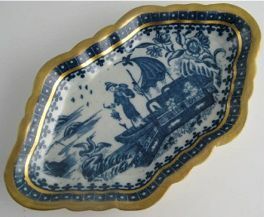 There are no manufacturer's marks on this spoon tray, but it can be identified as Caughley rather than Worcester by the pint, as there is a straight fishing line from the fishing rod on the far left of the scene. 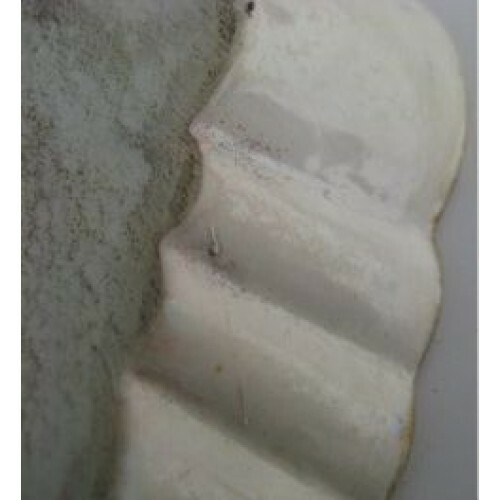 Sadly, this spoon tray has been broken in half and restored. 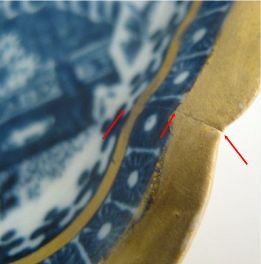 I have tried to identify where the break was with the arrows in the pictures below. 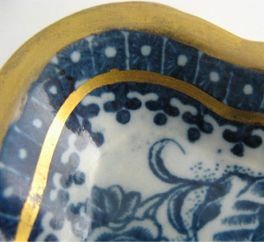 It would appear too that the rim is rather flat in profile and has been gilded as part of the restoration. 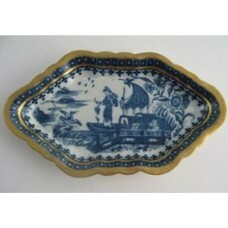 Despite the restoration the spoon tray is still a fine example piece of a Caughley spoon try. 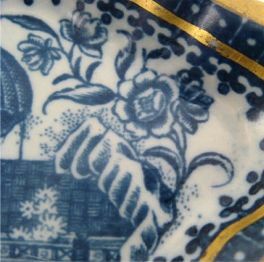 Condition (See main description for full details and pictures) Sadly, this spoon tray has been broken in half and restored. 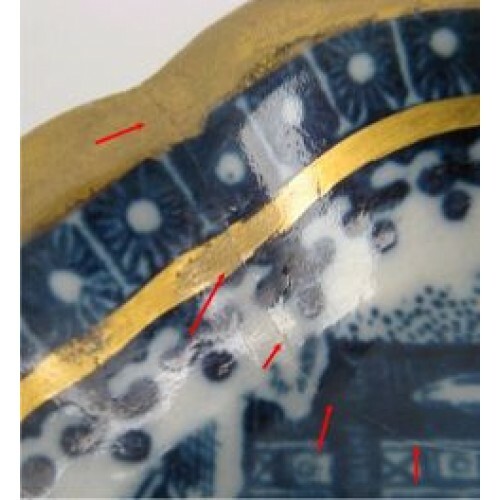 I have tried to identify where the break was with the arrows in the pictures in the main description. 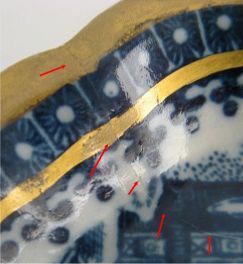 It would appear too that the rim is rather flat in profile and has been gilded as part of the restoration. 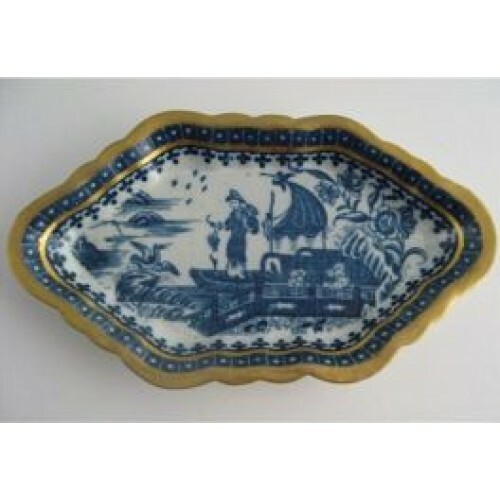 Despite the restoration the spoon tray is still a fine example piece of a Caughley spoon try.